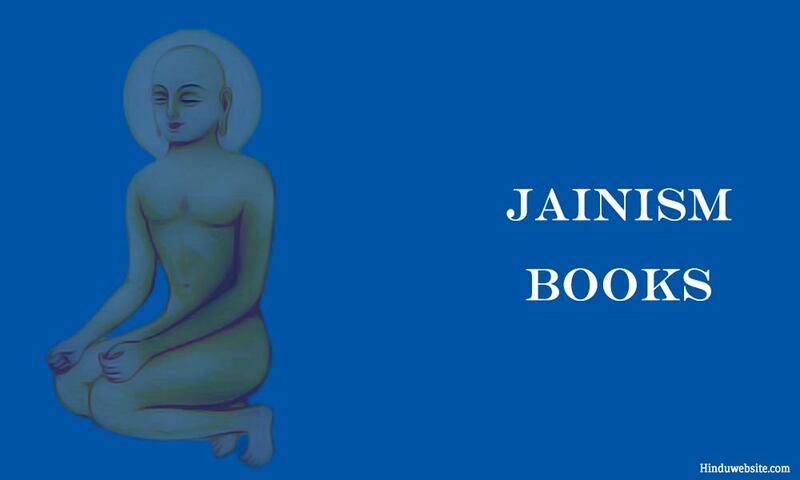 Find here a list of selected books on the various aspects of Jainism, Jain history, Jaina philosophy, practices, values and beliefs, thirthankaras, life and teachings of Mahavira and Jaina Tradition. The Jain Path: Jainism is one of the world's oldest religions, and perhaps the most demanding, rational and radical of all of them, attaching a great importance to individual responsibility. Today we are questioning our own inherited values and also rediscovering ancient traditions. We are looking for continuity and balance-a return to the centre. Understanding of Jain principles can point us towards the elusive paradigm shift, giving spiritual and intellectual strength to a new global ethic of compassion and interdependence. Jainism: An Introduction by Jeffery D. Long Jainism evokes images of monks wearing face-masks to protect insects and mico-organisms from being inhaled. Or of Jains sweeping the ground in front of them to ensure that living creatures are not inadvertently crushed: a practice of non-violence so radical as to defy easy comprehension. Yet for all its apparent exoticism, Jainism is still little understood in the West. What is this mysterious philosophy which originated in the 6th century BCE, whose absolute requirement is vegetarianism, and which now commands a following of four million adherents both in its native India and diaspora communities across the globe?In his welcome new treatment of the Jain religion, Long makes an ancient tradition fully intelligible to the modern reader. Plunging back more than two and a half millennia, to the plains of northern India and the life of a prince who - much like the Buddha - gave up a life of luxury to pursue enlightenment, Long traces the history of the Jain community from founding sage Mahavira to the present day. He explores asceticism, worship, the life of the Jain layperson, relations between Jainism and other Indic traditions, the Jain philosophy of relativity, and the implications of Jain ideals for the contemporary world. The book presents Jainism in a way that is authentic and engaging to specialists and non-specialists alike. Jainism and the New Spirituality is a sumptuous, 224-page exploration of an ancient and relatively little-known faith that is surprisingly relevant for the 21st century. Professor Parikh explains Jainism and links it to the newly emerging universal spirituality. He suggests that an understanding of new spirituality is essential to deal with current global issues. This is especially relevant to today's youth. Jainism and the New Spirituality offers explanations and assists it’s readers in redefining spirituality for themselves and their communities. Jainism and the New Spirituality is valuable reading on spiritual values, world religions, the multi-faith movement, peace, ecology and social justice. It is also an excellent resource for students of Jainism – young and old. An Introduction to Jainism (Paperback) by Dr. Bharat S. Shah, Bharat S. Shah. Second U.S. edition of a highly acclaimed, simple introduction to Jainism, an ancient (more than 2600 years old) but currently relevant religion from India. Written in a clear and friendly style, full of explanations, and a gradual, stepwise presentation of its fundamental principles. For personal or classroom study. Equally interesting for non-Jains of either Indian, non-Indian, or Western origin, and for students and scholars of non-violence, vegetarianism, and ecology. Studies In Jainism: Primer (Paperback) by Duli C. Jain. This is a unique introduction to Jainism. The articles, mostly written by Jains living in USA, are drawn from "Jain Study Circular", a highly regarded Jain publication in America. The articles are easy to read, but that does not mean that the book is intended for children only. The articles are written in a simple language, but they are written by experts. Although primarily written for Jains, non-Jains would also enjoy reading it. I would recommend all Jains living overseas to have a copy of this excellent book. Singing to the Jinas: Jain Laywomen, Mandal Singing, and the Negotiations of Jain Devotion (Hardcover) by M., Whitney Kelting. While Western Jain scholarship has focused on those texts and practices favoring male participation, the Jain community itself relies heavily on lay women's participation for religious education, the performance of key rituals, and the locus of religious knowledge. In this fieldwork-based study, Whitney Kelting attempts to reconcile these women's understanding of Jainism with the religion as presented in the existing scholarship. Jain women, she shows, both accept and rewrite the idealized roles received from religious texts, practices, and social expectation, according to which female religiosity is a symbol of Jain perfection. Jain women's worship shows us a Jainism focused more on devotion than on philosophy. With rituals structured around singing hymns, Jain women negotiate hybrid theologies that sometimes conflict with normative Jainism. Singing to the Jinas describes these women's interpretations of their religion, not as folklore or popular religion, but as a theology that recreates Jainism in a form which honors their own participation.